No switch needed, touch it, it will automatically light on. Fit for: 12V Car/ Trcuk /SUV etc. This Shift Knob Shifter was pulled from a used 08' Dodge Grand Caravan SE and is in great working and physical condition. (Not all of our vehicles contained all of their parts upon arrival at our facility). The item is used oem factory part. The part is in great condition. 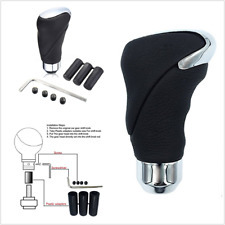 1 Set Universal Auto Car Gear Shift Knob Shifter Lever r Manual Automatic Transmission fits for circular gear lever. 1 x Manual Shift Knob. The shift head directly into the gear lever. Take plastic sleeve for the shift bar size. 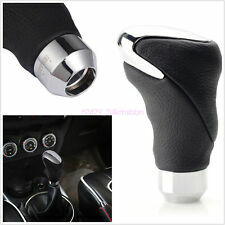 Aluminum Car Manual 5 Speed Gear Shift Knob Shifter Lever Black Leather Red line. Directly replace of original shift knob, no modification needed. Note: this shift knob only fits for circular gear lever. Used OUT OF a 2013 Dodge Gr. Caravan SXT - study picture careful for scratches! I HOPE WE WERE ABLE TO SERVE YOU AND HOPE WE WENT BEYOND YOUR EXPECTATIONS. Also you can pickup if you live close. AT, SE, FLOOR SHIFTER, DASH MOUNTED. 2012 DODGE GRAND CARAVAN. 1x Shift Knob. Color: Black. Due to light and screen difference, the item's color may be slightly different from the pictures. Easy to install. No Instructions Included. Bezels and knobs sold separate. Note: this shift knob only fits for circular gear lever. Universal Fit for most vehicles with manual gear shift lever. Directly replace of original shift knob, no modification needed. 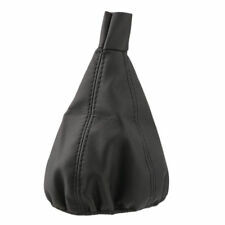 1 x Leather Gear Shift Knob. C Grade - The third level quality part. B Grade - The second level quality part. It is of average miles and normal condition for its age. A Grade - The highest quality part. It is of low miles and/or exceptional condition for its age. Universal Car Skull Head Manual Transmission Gear Shift Knob Handle Stick Head. 1X shift knob. We will try our best to make you satisfy. We will do our best to solve the problem. Note: Not suitable for car model, the shift lever with button. Remove the original car gear knob. 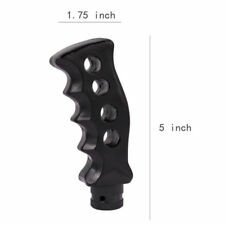 Take Plastic adapter suitable size For gear knob. Place the gearhead in gear knob. The gear head directly set in the switch knob rod. 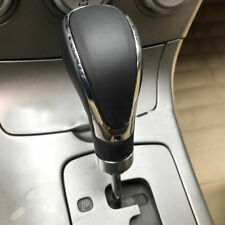 The shift knob extender is highly adjustable, shifter height is adjustable and the offset elbow of the shifter can be rotated to several different positions. 1x Shift Knob Extender. 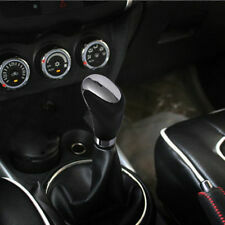 The material of shift knob extender changed to aluminum, it can reduce friction and make shifting even smoother. And Not Fit gear knob work on a lift up reverse knob. - Remove the original car gear shift knob. - Put The gear head into the shift knob. - The gear head directly set into the shift knob rod. - Take Plastic adapters suitable size For shift knob. 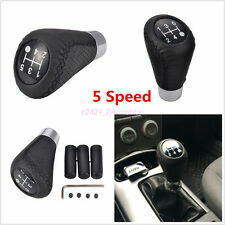 Car SUV Manual/Automatic Knob Gear Shift Head Shifter Lever Stick Black Leather. And Not Fit gear knob work on a lift up reverse knob. - Put The gear head into the shift knob. - The gear head directly set into the shift knob rod. 1 x 54mm M12 x 1.25 Dragon 7 Star Ball Shift Knob. Made from high quality durable acrylic, with stars pattern inside the dragon ball, will not be fade. Directly upgrade your original knob, NO modification required. Skull design is very cool and fashionable. 1 X Shift knob. • Fits for most car manual transmission. •Main Color: Red. 5 X Small screws. 3 X Difference size Rubber. 1 X Installation tool. • Size: As the picture showed. 1 x Car Hand Brake Cover. Material: Aluminum. Color: Black and silver. Make your car more stylish and generous. We will get back to you very soon! If there is any delay,it maybe caused by bad weather or custom inspection. 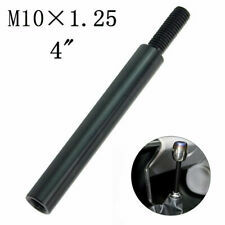 Samurai Sword Shift Knob' Handle Length : 14cm (As the picture shows). Finished installation,ensure the gear knob is firmly attached to the shifter,make sure the gear shifter is working correctly. Remove original factory Gear Knob from shifter. ■ 1x Shifter Extension. ■ Installation: Simply remove your existing gear knob, screw on the new Speed Change extension. ■ Simply unscrew your existing gear knob screw this on. and then reinstall the gear knob. The shift knob of samurai sword design makes your car look cool ! 1 samurai sword gear knob. Fit for most MT cars and AT cars without shift knob button. Fit For Universal Car. We will try our best to make you satisfy. Fits most MANUAL transmissions Does NOT FIT AUTOMATIC with push lock button Nonthreaded Fits thread sizes: M12x1.5, M12x1.25, M12x1.75, M10x1.75, M10x1.5, M10x1.25, M8 x 1.25, M8 x 1.5, M8 x 1.75 Brand USWHOLESELLER Brand USW Manufacturer Part Number USW02028 Fitment Type Direct Replacement Color Cherry Wood Bundle Listing Yes. 1x Car Gear Shift knob. 1x USB line. No switch needed, when you touch it, it will automatically light on. Fit for all car Manual Transmission (MT) and Automatic Transmission (AT) without lock button. Chrysler / Dodge / Jeep DVD Map. 2005 to 2007 Chrysler 300 & 300C. 2004 to 2008 Chrysler Pacifica. 2004 to 2007 Chrysler Aspen. 2004 to 2007 Chrysler Town & Country. 2004 to 2006 Chrysler Sebring. 2004 to 2007 Chrysler P.T Cruiser. Features: - 100% brand new and good quality - Material: Genuine Leather & Metal - Colour: Black and Chrome - With 3 Plastic adapters(8mm,10mm,12mm) for easy fitment - No modification required, directly upgrade your original knob Note:This Is Not Universal Type! 1. It only fit All Car Manual Transmission (MT) and Automatic Transmission (AT) Without Button's Lock 2. And Not Fit gear knob work on a lift up reverse knob Installation: - Remove the original car gear shift knob - Take Plastic adapters suitable size For shift knob - Put The gear head into the shift knob - The gear head directly set into the shift knob rod Package list: 1 Pcs X Shift Gear Knob 3 Pcs X Adaptors (8mm,10mm,12mm) 1 set X Wrench and Nuts. 1x Car Gear Shift knob. 1x USB line. No switch needed, when you touch it, it will automatically light on. Fit for Most car Manual Transmission (MT) and Automatic Transmission (AT) without lock button. Directly replace of original shift knob, no modification needed. 1x Leather Gear Shift Knob. Note: this shift knob only fits for circular gear lever. Shift Knob Hole: 8mm, 10mm, 12mm. Universal fits for most vehicles. 1, Remove the original car gear shift knob. 3, Put The gear head into the shift knob. 4, the gear head directly set into the shift knob rod. 1x Manual Shift Knob. 2, take Plastic adapters suitable size For shift knob. Style: Skull model. Direct replace of the original shift knob and screw on. 1 x Car Manual Shift Knob. Fit for manual transmission cars. Special and fashionable design makes your car stylish. 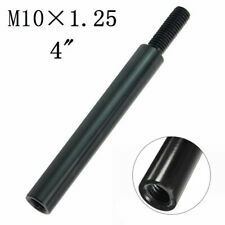 Three adapters size: 8mm(0.31")/10mm(0.39")/12mm(0.47"). The shift knob of samurai sword design makes your car look cool ! Fit for most MT cars and AT cars without shift knob button. adapters size :8mm ,9.5mm,10mm and 12mm. Color:Black Red. Fit For Universal Car. Universal Car Modification Stainless Steel Grilled blue Square tube Car Exhaust Pipe Tip Tail Muffler Exhaust pipe cover Car styling. To avoid the exhaust pipe burn when the car just stopped or started.